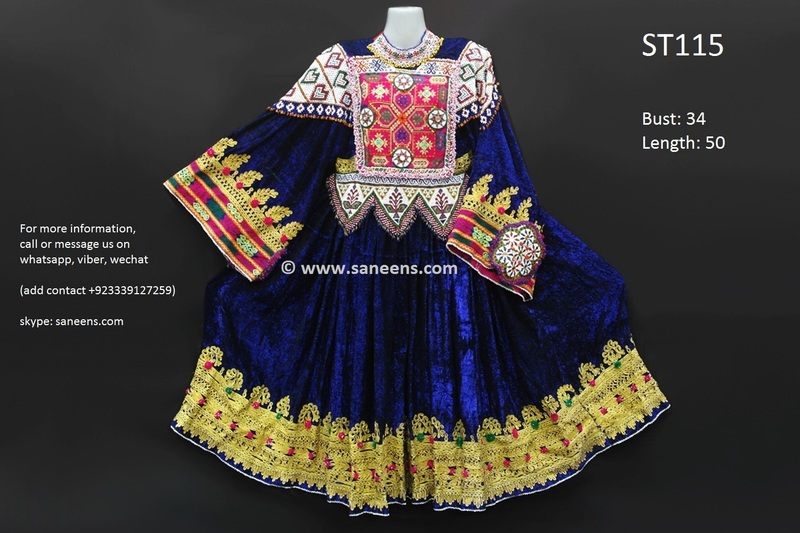 Click the button below to add the Afghan Clothes In Blue Color With Embroidery And Beads Work to your wish list. Here is an ethnic Afghani Dress in blue color, made of good quality cloth. Such dresses resemble very old Kuchi tribal culture. All the visible beads and needlework are done by hands. Traditionally these dresses are supposed best for brides or for wedding and Nikkah event. Afghanistan Royal Dynasty also wear it on their special events. 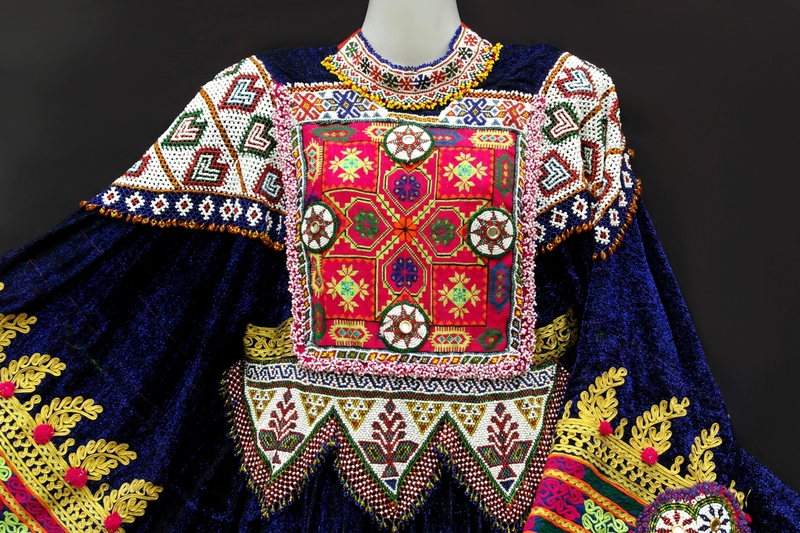 The package would contain single ethnic shirt. This is a vintage or pre-owned dress. So, it may have some loose threads and beads. It is why, check all the pictures thoroughly then place an order. You can send us your appropriate measurements, which best fit on your body. We will reset the dress according to given measurements (if there is enough room for adjustment otherwise we will inform you) No tailoring charges will apply, its free.